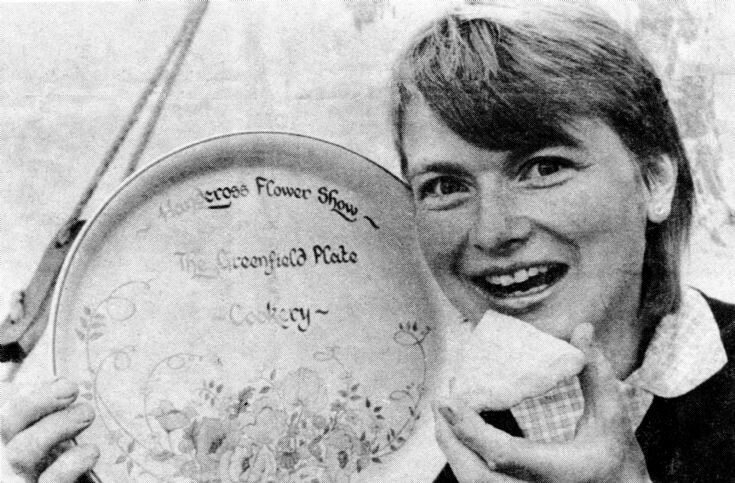 The 1985 Handcross flower show and fete was held in the Recreation Ground with the flower show taking place in a marquee. According to the organisers it was the wettest show on record! The photograph shows the winner of the Greenfield Plate for cooking, Mrs Helen Beet (née Carey) of Nashlands Cottages. Select Open Document to view the complete newspaper cutting of the event. This is followed by another newspaper report for a flower show which took place, I think, in 1977. The Large Version shows a cutting relating to the 1980 Flower Show during which a delighted Fred Morgan from Pease Pottage won a special diploma for his excellence in the horticultural section. The event got off to a terrible start as the marquee collapsed in the high winds and the flower show part of the event had to be switched to the Parish Hall.